Get behind the scene of this Amazing craft. Get, to the point lessons so you get started on the right track. Learn watchmaking in a affordable way. Get started instantaneously in the comfort of your own Home. This course is designed to teach you watchmaking step by step with video lessons that are easy to follow. The course is over 5 hours long. It contains a load of information that will teach you in detail every aspect basic watchmaking and build you a solid foundation that will serve you for years to come. No matter if you are intrigued by the micro mechanics, gear trains, high precision itself or simply a fan of watches. You will find this course offers a rare view into this extraordinary microcosm. Instant Life Time Access ! I don't have tools ! This is what our Students have to Say about the Course. 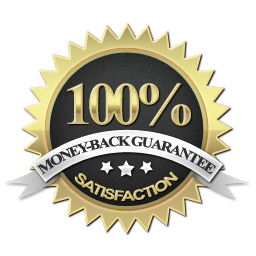 Buy our courses risk Free !. Once you've bought the course, you have seven days to decide if its worth it or not. Thank you so much for making this course. The course is really well made and easy to follow. It really inspired me to get started with watchmaking. A great place. Christian is a passionate guy who loves to transmit his knowledge. Learnwatchmaking.com is a great place to learn watchmaking! Super cool concept. Christian explains things in a way so it is easy to understand. The fact that you always have access to the films in the course, means that you can take one step at a time when it suits you. Fantastic. I can only recommend this online course . I just completed my first time through the course! I am totally impressed and inspired. I first thought I would watch the lessons through a couple of times and then attempt watchmaking on my own using my newly learned skills. After the detailed instruction, I believe I can begin after one time through and use the lessons as a reference in the process. I can’t wait to begin. After watching the first video I went and purchased all the tools and a Parnis watch with the Chinese copy of the ETA 6498. I have skipped ahead to just browse and the quality and depth of the videos are exactly what I was looking for! I am excited to continue the course as time permits. I am currently only about 1/3 thru the course and it is everything I had hoped! It is broken down into small/short snippets of process that I find easy to learn and apply. Sometimes instructors can get a little superficial with their presentation, but not Christian. Nothing better than concrete/useful cookbook ways of proceeding thru the process. Thanks Christian for this online course, as a beginner I can see the improvement already and my confidence has been lifted by the step by step process of the course. To find such a gem of a course online has been great and I have an immense regard for your work. Great informative teaching and style, fantastic course thank you Christian. Christian, what a terrific course! I would recommend this to anyone with an interest in watchmaking. My results may not be perfect, but because of the instruction and knowledge gained from you this has turned out to be improving rapidly. These videos are not a one-time reference. They are packed full of information that one can refer to again and again. To sum up, this course and the knowledge gained from it have given me the confidence to move ahead with watchmaking, confident that I can improve with hard work. What’s next? Whatever it is, you can be assured that I will want to purchase it. Excellent course! I love the sequential structure and attention to details and how well Christian explains and demonstrates what he is teaching. It’s such a good course, that I decided that I did not want to miss anything from the basics watchmaking skills that are fundamental to really becoming a masterful watchmaker. Christian is an outstanding watchmaker and teacher. He goes step by step, explaining and showing the how to of everything. I am really impressed. I feel I have found what I was looking for. I am enjoying what I am learning, and I am already looking forward to more online courses. Keep them coming! Thank you for making a product that is exactly what you say it was. I’ve spent the last months scouring the internet for exactly this kind of information, but I simply did not believe that it was available. I hope you sell a million of these. Christian, Thank you, thank you, thank you! I am still plowing through the super detailed material throughout your course. You’ve taken on a Herculean effort that far exceeded my expectations. Thanks again Christian for the course and thank you for promoting watchmaking in general. Your instruction is awe-inspiring. The visual instruction is the only way for me to learn new techniques. Thank you for all the hard work you must have gone through to put this together. It’s was exactly what I was looking for. Exceptional course! Easy to follow and really complete for a beginner. A winner! The content is well presented, the videos are engaging without being preachy, and they are bite size chunks just right for watching whenever you have some spare time. Christian have a great presence, knows what he talk about and it’s obvious he loves teaching. I can not imagine a better introduction to the world of watchmaking. It feels like learning from one of the best. I hope to see more courses from you. Maybe something about troubleshooting, and identify worn out from good parts. I love How detailed and thorough the instructors are without losing you to what did he just say, i have already had ah ha moments. So Far Ive been seeing alot of detailed explanations, also the quality of the videos is awesome, So far am really impressed by the class.! I am very excited to take this course. I have been a watch collector for over 30 years and have dabbled in repair on my own since that time. I already have all the tools that you have shown in the video. I am 78 years old. I have over 200 watches in various stages of restoration that I have done. I have not tried to disassemble and reassemble a watch, but I am ready now. I am excited to oil a watch correctly. this is just the course I have been wanting to take. If your at all interested (or fascinated) by what goes on inside a watch this course is a must. All my dealings with Christian have been 100%. He is a man of his word and responds to questions immediately. The Video quality and step by step explanations of what you are doing, why you are doing it and if appropriate he will even explain slight variations you my come across in other watches. Yesterday I built my first watch I from the mainplate up. I disassembled the movement, I cleaned the parts, I oiled it including the Incablocs. I rebuilt the movement, I regulated it, I cut and filed the stem to size for the case, put on the dial with dial dots, installed the hands, cased it. It was a mess in so many ways. But I succeeded. It is certainly nothing special, nor is it my most beautiful watch. It is just crap from the net put together. But I am very proud. Thanks to Christian and his enthusiasm and inspiration. If it wasn’t for him I would have never done it. Great course. I have learn so much in such a short time. Thank you making this amazing course. These videos are always an easy length, I hardly realize that I’ve spent hours learning from this course! Always straight-forward and instructions are always clear. I appreciate that my questions are not only answered, but that certain topics are mentioned throughout several different videos so that you fully grasp each aspect and remember it so you can do it easily for yourself. I buy NOTHING without proven value. Ever. This course is 1000% worth investing in, if you want to LEARN watchmaking then this is what you need to know to start. Clear, fast, and easy directions. BTW Christian himself is a great guy who is truly devoted to helping others, so you arent going to be left on your own if you need help down the road! Check out his Facebook group. The course is well organised, and contains all the information that you need to start watchmaking. 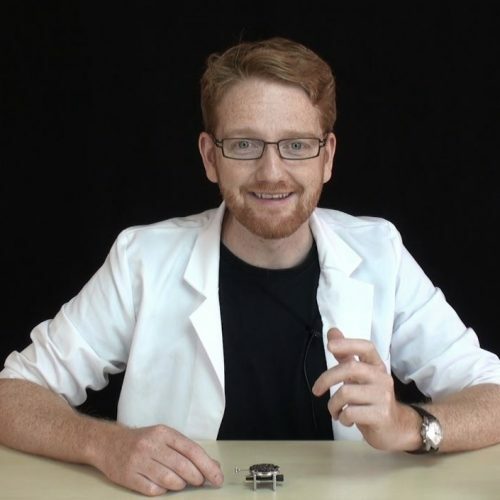 If you are interested in starting watchmaking then you will find this course helpful. There is also a useful section on dealing with some of the problems that you may encounter along the way. Over the years me and my friends have tried to learn watchmaking. Some did it well, and others it wasn’t even close. For awhile I wanted to try it out but I hate wasting time, and coincidentally I found this course. Easily explained, all the processes are fully listed. Now learn it and have great fun building watches. Amazing course. The quality and in depth explanation beats anything I have seen so far. Well done…. Very good in depth explanations that are easy to follow for a complete novice like me. The support has been fantastic a I have been helped way more than I would have expected for this price. Christian is a top notch teacher and really knows his stuff. I found his comprehensive coverage of watchmaking to be one of the best available. His style of teaching and explanation of different tools along with situations of where one might be better suited depending on what you are trying to do over another makes this course well worth it! Very useful, learned a lot of great skills and technics and how to use the right tools in the process. If you want to learn watchmaking this is a “must do” course! Excellent Course, as expected from this instructor. I’ve struggled with wanting to get into watchmaking, but not being able to stick with it for years. Either not being able to find the proper learning material or getting bored too quickly once I had. This course starts out simple enough for a beginner like me and it constantly adds to your skills without you even notice. After a while you find yourself doing stuff you never thought possible. Everything is well explained and I feel like I am progressing quickly. I really enjoyed this course and I will definitely use some of the skills for my work. Christian is very helpful and really quick to reply to emails. This is exactly the kind of course I was looking for. I am a total beginner and I wanted to get into watchmaking and watch servicing, and that was the perfect course to get started. Christian is a great teacher, he gives plenty of information, tips and tricks in this course. The videos are very good quality, and there are plenty of links and references if you are willing to increase your knowledge in watchmaking. The Facebook group is very active, the people there are very friendly and helpful, and Christian himself is also amazingly active and available to answer your questions. 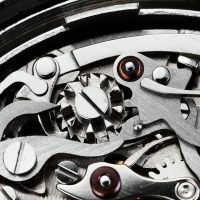 I totally recommend this course to people who want to get into watchmaking. Many thanks Christian! This is the most outstanding course you can find! Clearly presented, and easy to understand the explanations. Most outstanding and clear videos. Highly recommended! You can’t get better than this! I’m planning to progress through all his courses.